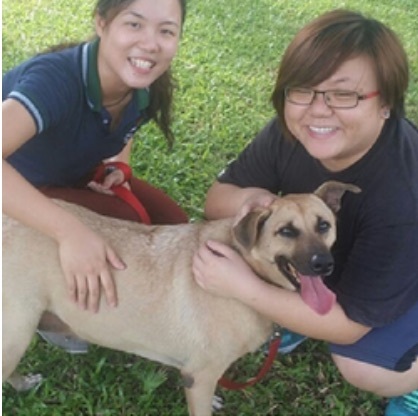 CAS Education programmes aim to help organisations and individuals in our community understand Animal Welfare issues in Singapore and learn animals related skills. 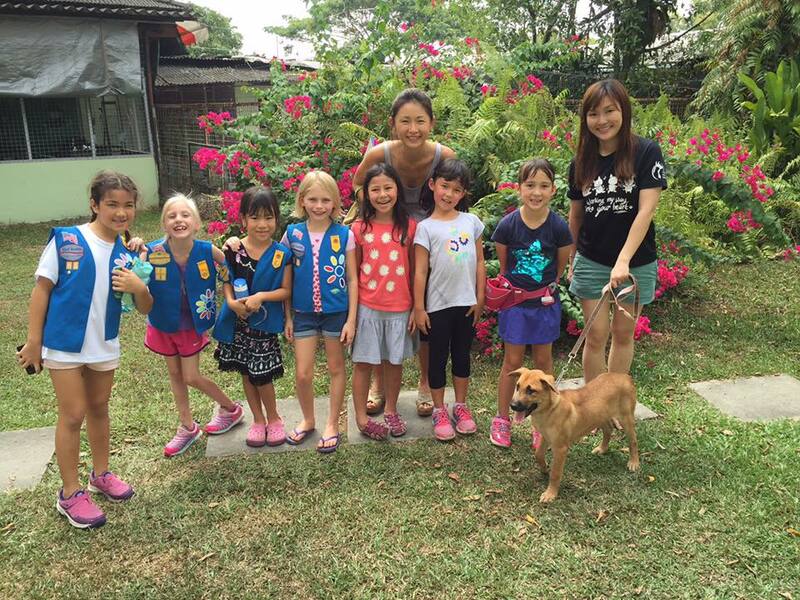 Education is fundamental to helping raise awareness for the plight of animals in Singapore. The more you know the more power you have to be the change. CAS has many programs to suit your needs. 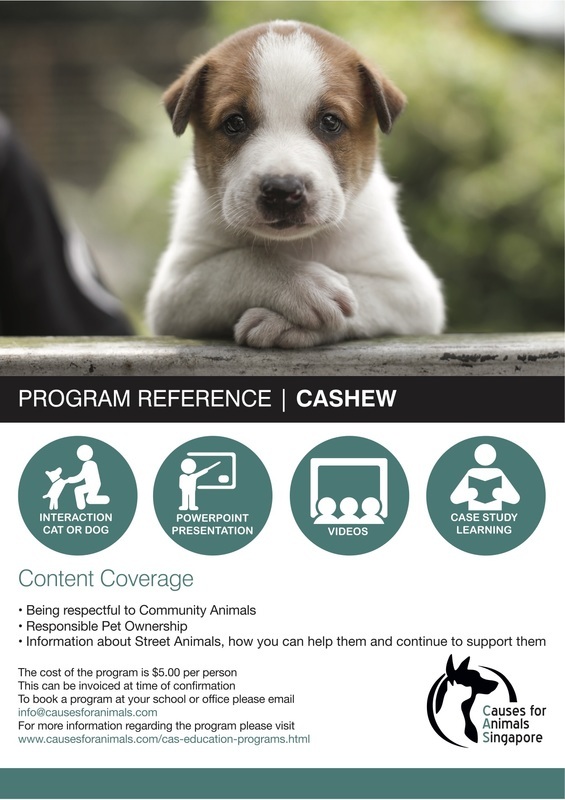 Our Causes for Animals Animal Health and Welfare Programs (CASHEW) is tailored for both tertiary and primary students. Please contact us to see how we can help. These programmes are available subject to resources and can tailor a program to suit if needed. Here are some programmes we have run for our community and we look forward to running one for you too! CAS conducts onsite tours for classes, clubs and societies in schools. Students are encouraged to attend a 30 minute tour and organise a fund raiser and donation drive at school to do their part for animals in need! Animal care is now a part of MOE's CCE curriculum and CAS had the privilege of going to the Rainbow Centre school for special needs students recently. CAS volunteers made 2 trips to Rainbow Centre Singapore to provide lessons and hands-on sessions with the students who have special needs. The experience has proven to be extremely therapeutic and helpful for both the students and our Singapore Specials. We have never seen our dogs at work and for the first time, we see how calm and wonderful they are with the kids! CAS also runs visits to Yong En Elderly Centre to assist patients with Dementia in hopes of helping them recall daily activities they do. 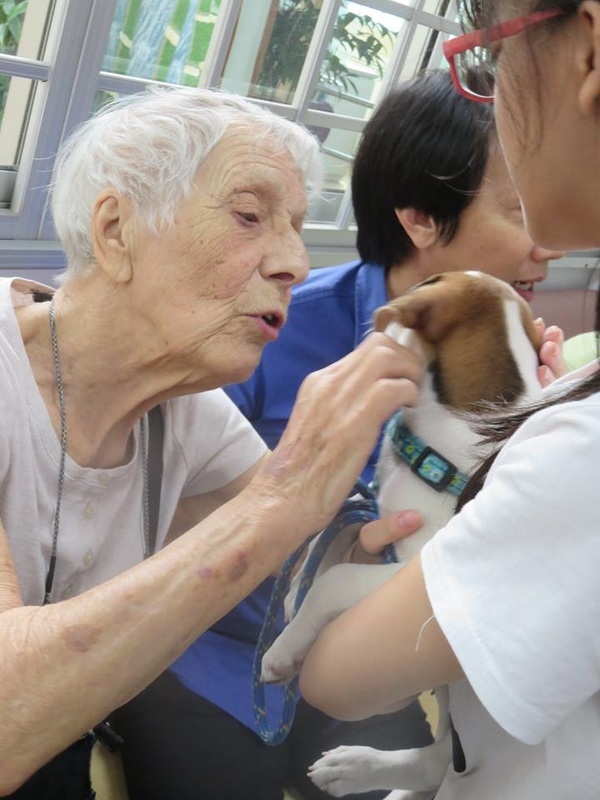 Featured here are the folks from Rainbow Centre & Yong En Centre enjoying the companionship of CAS animals on one of our visits. 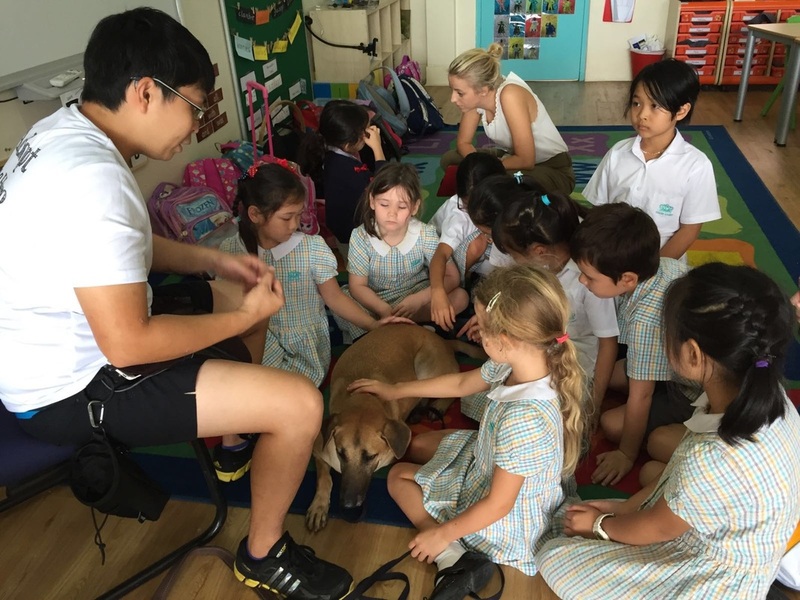 CAS also runs visits to Pre Schools and Schools to educate students on the means of taking care of a pet as well as respect for animals. They are also taught a little about street and shelter animals and how they can help animals in need. There is also a mini interaction session with a dog and how one should approach an animal in a careful and respectful manner. 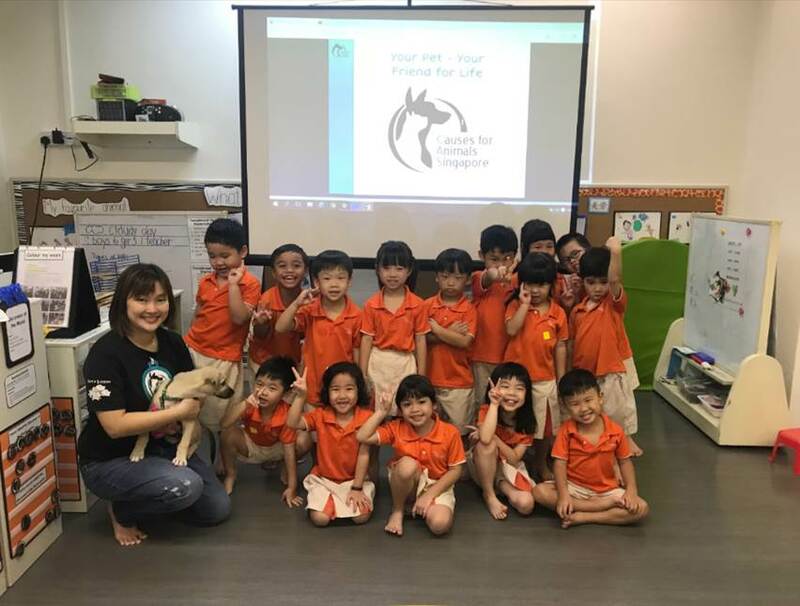 Featured here are students from Dover Court International School who later went on to run an Art Gallery exhibiting their paintings of our rescue animals and raised over $1700! The students from My FirstSkool will also be putting up a drama performance of which proceeds from ticket sales will benefit CAS! 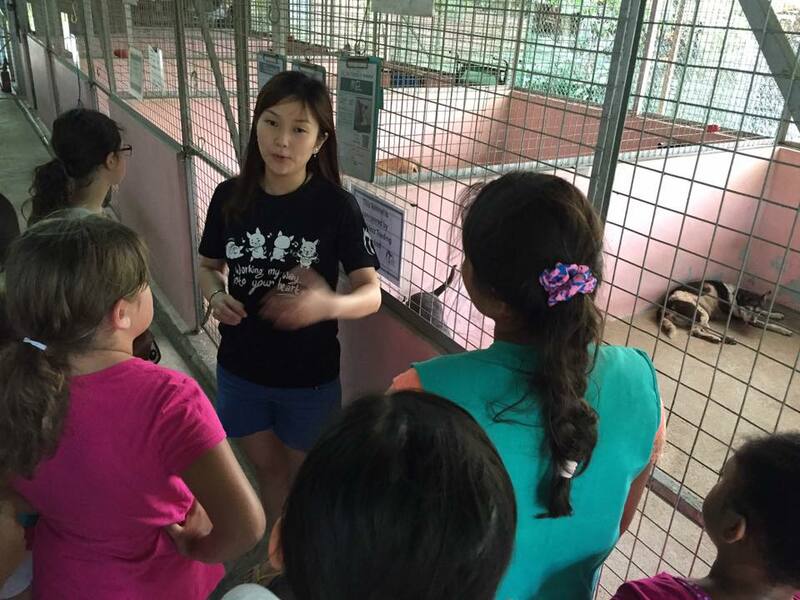 Animal welfare is a key component of the new MOE curriculum. Student are encouraged to run an off site fund raiser for the shelter and street animals we care. 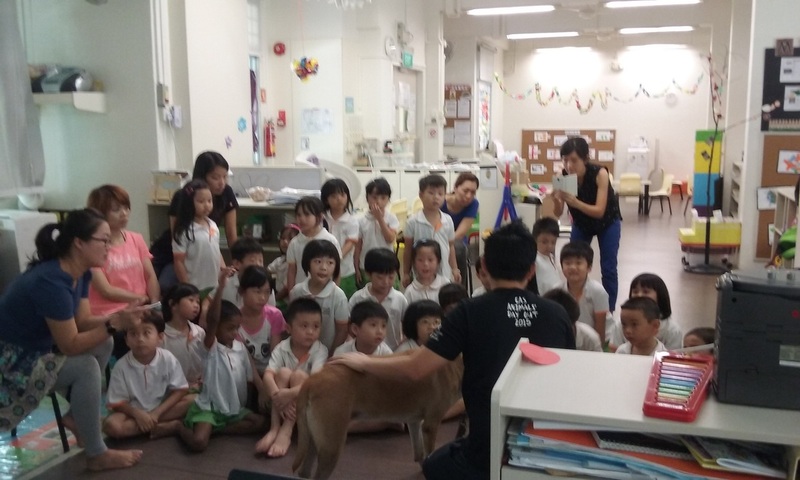 Following this, they visit CAS for a tour of the facility and an educational session to find out how their donations have helped animals in need and also how they can further their support for rescue animals in Singapore! 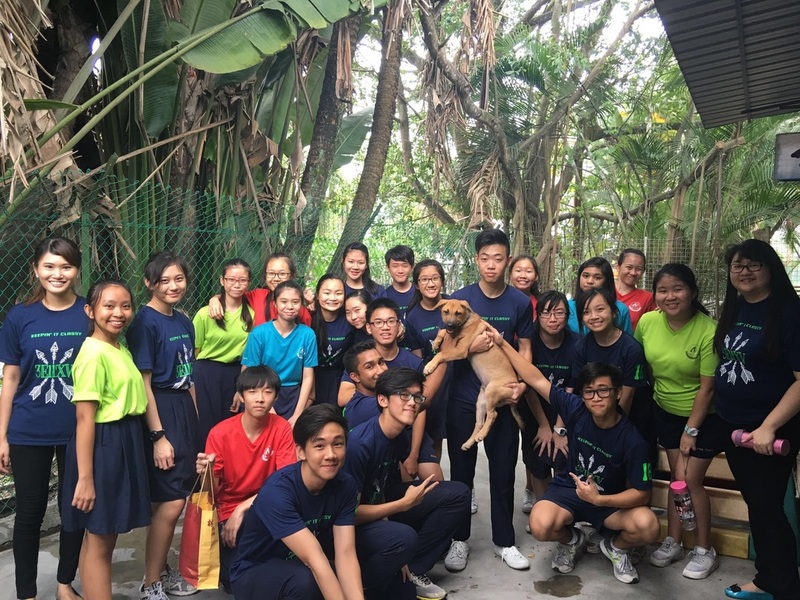 Featured here are the students from North Vista Secondary School who ran a merchandise sale, bake sale and photo booth in school to raise funds for CAS and eventually visit the facility to see how their donations will help animals in need! We are looking for volunteers who can join us on future educational trips on weekday mornings. If you have the time, love and passion, please email volunteer@causesforanimals.com.